Chicken is every non-vegetarian’s safe haven, isn’t it? Be it your dull oats or your tasty two -minute noodle adding chicken cubes or minced chicken makes it much tastier and yummier. When we say Chicken a lot of dishes come to our mind across cuisines, be it chilli chicken, chicken bharta or chicken chap, one dish capable of keeping everyone engrossed in it. As we hear Pepper Chicken most of us are tempted to think that the recipe is a westernised one, but forget that our very own culinary skills can innovate something with the desi chicken. Chicken curry has already gone through a lot of innovations and a lot of desi flavours has been added to it. Like innovating coriander chicken into Dhaniya chicken where instead of adding fresh coriander leaves, coriander powder is used instead or be it for that matter garlic chicken is made desi and named Lasuni Murgh and is cooked with pickled garlic, making it a rich aromatic dish. Chicken kali mirch is popularly known as Murgh Kali Mirch which is very much an Indian chicken curry dish having all Indian Spices and dominated by the spice pepper or Kali Mirch. Preparing this dish is easier than it sounds and you don’t need to be a master chef to try your hand at cooking this dish. The main ingredient is obviously chicken and pepper, apart from that ginger, garlic, lemon juice, curd, mustard seeds are also used in the making of this dish. Now one must be wondering how this Indian Chicken Curry is different from the western Pepper Chicken. The sole difference lies in the use of curd and mustard oil. All of us know that no Chinese preparation would use curd and certainly not mustard oil, so Chinese chefs use vegetable oil or white oil for their purpose. Why you should try out Chicken Kali Mirch? 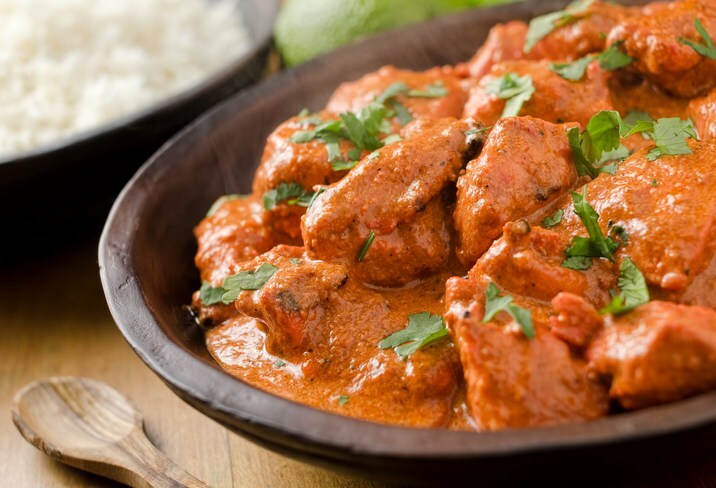 Any chicken gravy preparation can be served with Indian flatbreads or Jeera rice, depending on the choice of the person. But personal experiences of a lot of people are that kali mirch Chicken is best served with Lachha paratha, Masala Kulcha or Butter naan. The dish is very light and easy on the stomach, so those health conscious and calorie conscious people it’s just the right kind of dish to gorge on. What makes this dish even more palatable is that it’s easier to cook and also very pocket friendly. One doesn’t need to go out of their way to buy something; the ingredients are available at home making the urge to cook even more strong. Now if u have unexpected guests for dinner and you are completely clueless as to what to serve them you know if nothing works chicken kali Mirch would come to your rescue, saving you both time and money. So what is for dinner tonight? Some kali Mirch chicken I smell, is it? Cook this awesome yet delicious for your loved ones and surprise them with a special menu at the dinner table tonight. Bring out the chef in you.